The current policies of the Canadian government are making the economy’s prospects more uneven in the long term, according to a senior official of a non-partisan research organization. Charles Lammam, director of fiscal studies at the Fraser Institute, warned that the Trudeau government’s $30 billion deficit this year—which is far in excess of the Liberal party’s promised $10-billion shortfall—is a ticking time bomb that succeeding generations might not be able to defuse. “Since 2007-08, the federal debt alone has grown by $176 billion to $692 billion in 2015-16. That’s $19,302 per Canadian. Debt ultimately must be paid back in the future through taxes, and it risks endangering both our current and future prosperity,” Lammam wrote in a piece for the Winnipeg Free Press last Tuesday (March 22). The analyst noted that this might mark the beginning of a dangerous trend of continuous deficit spending, which would make it progressively more difficult for the government to reach balanced budgets. “This is what happened in the 1970s, 1980s and early 1990s when the federal government ran 27 consecutive deficits. These deficits hampered Canada’s ability to enact competitive tax policies and led to a dramatic accumulation of debt, with interest payments on the debt ultimately consuming more than one-third of federal revenues,” Lammam said. The macro level isn’t the only victim of this development, as the effects would trickle down to the industries hardest hit by Canada’s recent economic slump. 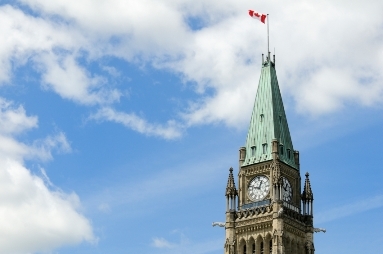 “Current federal policy is making a bad situation worse for Canada’s energy sector. The moratorium on oil tankers off B.C.’s north coast, new climate-change tests for proposed pipelines and LNG facilities, and the possibility of new taxes on carbon add to the considerable risk and uncertainty the industry already faces,” Lammam explained. In addition, the government needs to rethink its stance of imposing greater tax rates on skilled professionals and entrepreneurs. “Discouraging entrepreneurs, business professionals, engineers and doctors from coming to Canada or fully using their skills once here weakens the Canadian economy,” Lammam said.